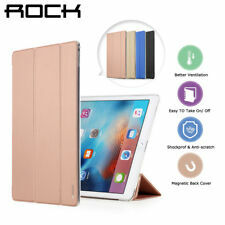 Designed for Apple iPad Pro 2015 Edition (iPad 7th Gen) Tablet with Auto Sleep/Wake Function. 100% Risk free! Product information . • Protective Casing: Using our envelop case will protect your iPad from bump, scratches, dint’s, bump, shock and falls. • Magnetic Closure Cover: Holds your gadget inside secure, easy access opening and closing. 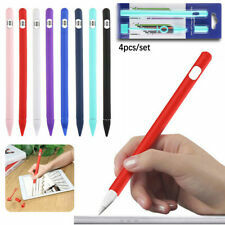 Easy Use and Safety : Magnetic Cover is easy to handle, also protect the ipad pencil safely in the case. Connect the Apple Pencil to the port "OUTPUT" on the box with the USB cable. Specially Slim Design: Keep all-in-one storage for your apple pencil and accessories. Compatibility: Apple iPad Mini ( iPad Mini 2 / iPad Mini 3). Hybrid Glow Case. Made of high quality TPU (Thermoplastic polyurethanes). Note that there are multiple different versions of Ap ple iPad. Folio Keyboard Case. Island Style keys designed for fast and accurate typing. Keyboard works with iPad in both landscape and portrait modes. Auto On/Off magnet for quick start up and shut down. They work very hard to get quality products to you quickly. Specially case designed for your Apple iPad Pro pencil and for Airpods. 1 x Protective Case. Excellent material, The surface applies the PU material, and EVA material for inside, quite durable. Style #TU10024. Fits most smart accessories. Originally Manufactured as a gun case, we found that this quality case makes a good carrying case for a tablet and/or accessories. Features zip-around closure, durable exterior, and padded interior with 4 storage pockets. 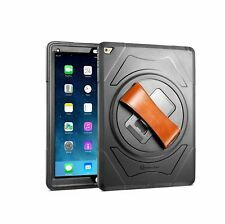 Compatible with Shockproof EVA foam bumper cases that fit: iPad 9.7" (2017 5th Gen/2018 6th Gen) - iPad Pro 9.7" - iPad Mini (all versions) - iPad Air (1 and 2) - iPad 2 3 4 (released 2011-2013). WILLGOO Carrying Case for Apple iPad Pencil and Accessories. 1x WIllGOO Pencil Case. Keep Apple Pencil and its accessories in one storage.Provide charging function when the new Apple Pencil is out of power. Prada iPad case cover in saffiano leather. YOU ARE LOOKING AT AN AUTHENTIC PRADA iPad Leather Cover Case. Textured leather lightly padded with corner stays. SmartBand for iPad Smart Cover. You can choose between universal black or gray or reverse to show stylish colors and patterns. 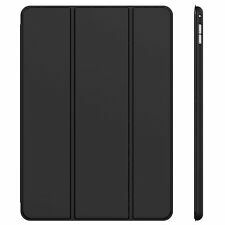 Fits Smart Covers for the Ipad 2 (2nd Generation & 3rd Generation), iPad 4th Gen, iPad Air & iPad Air 2. I purchased several extra covers for my iPad 2, and am selling most of them. It may fit other models, but please check with a reliable source before you buy. Unused tan Smart Cover in original packaging. Package has stickers, residue, and wear as pictured. Please message if you need additional photos or information, and we will be happy to assist. Please check our other listings, as we add new items in a variety of categories every week. Our listings include shipping within the USA in an effort to assist you in bidding actual final amounts. Non-USA bidders please be aware we use the eBay Global Shipping Program for international orders, and pack very securely. (Free shipping is to USA addresses only). iPad Mini Case, Cat , for Kids Silicone Brand New Apple Accessories. Condition is New. Shipped with USPS First Class Package.